Lindsey will begin discussing sites of strength and resilience in the context of motherhood and nationhood, touching on her long term investigations into memory, land and identity. Supported by her last two bodies of work Negotiating Spaces and Bridge Meditations, Lindsey will touch on her experience at the MAC Deep Bay Residency in Riding Mountain National Park during the fall of 2016 where she worked on her evolving series Negotiating Spaces; Ghost Lines. This project investigates the shifting ground between the sacred and forgotten; the effects of defunct rail-lines in Manitoba. Composed of medium-format photography, audio and text, this project strives to create an alternate archive of stories and images that are not in the history books, rather those that live in the memory of the people, communities and land effected by the railway. From there, she will discuss her lastest series Bridge Meditations. This photographic and video work recently created during Wood Land School, Summer Institute at Plug In ICA, follows the movement of woman and birds across the Louise, Arlington and Slaw Rebchuck bridges in Winnipeg. Bridge Meditations, initially inspired by Daphne Odjig's Thunderbird Woman, looks to investigate the bridge and the bird as they relate to transformation, strength and meditation. Using walking as a methodology, this new body of work raises questions about our experience of bird and bridge and the movement towards reconciliation. In this two-hour workshop, participants will learn how to professionally photo-document artwork. We will begin the workshop by covering the fundamentals of photo-documentation including: the correct positioning of artwork, choosing cameras and appropriate lenses, reviewing light conditions, white balance, as well as focus and composition. During the workshop we will explore the pros and cons of natural lighting and studio strobe lighting, sinc cord vs. wireless remote sinc and paper or material backdrop. We will also touch on necessary tips and tricks such as how to water-level your tripod and camera, as well as some in-a-pinch DIY photo-documenting equipment and skills! Participants are encouraged to bring their own camera, memory card and tripod, as well as two or three-dimensional artwork to photo-document. Victoria Freeman’s book Distant Relations: How My Ancestors Colonized North America examines ten generations of family history and was written in order to help Freeman understand her family’s involvement in the colonization of North America. The selected text begins with an account of Freeman traveling to Shoal Lake to research her grandfather’s involvement with the Cecilia Jeffrey Residential School. The discussion at Theory and Beer will focus on one detail of her journey: the role of her family photographs. What is our relationship to the family album and how can it relate to the process of reconciliation? When researching family histories, how does the image act as a visual currency or admission? Further, how have family histories been impacted by the misinterpretation of family photographs and how do these visual histories affect the greater community working toward a post-colonial future? Chi-miigwetch Marie Jandrew and Laura Brandon for having me over, sharing your stories about the effect of the railway on and around Waywayseecappo. Lindsey Bond is participating in the Deep Bay Artists’ Residency in Riding Mountain National Park. Postcard Anecdotes, a part of Lindsey Bond’s evolving art installation Negotiating Spaces, will be on display in Riding Mountain National Park in September while she takes part in the Deep Bay Artists’ Residency Program. Lindsey Bond will soon be creating in the cozy confines of a cabin at Clear Lake. The North End artist is one of 10 creative types chosen by Manitoba Arts Council to participate in its annual Deep Bay Artists’ Residency in Riding Mountain National Park. The program, which runs from June to September, sees Manitoba artists staying in the Deep Bay Cabin, while interacting and sharing their work with people in the park. Bond will do her Deep Bay residency from Sept. 5 to 18. A lens-based artist, Bond will be working on Negotiating Spaces: Ghost Lines, a branch of her project Negotiating Spaces. Started in 2009, Negotiating Spaces is an evolving art installation which incorporates medium-format photography, video, audio and text and explores Canadians memories and views of the railway. "My main interest right now is to collect Indigenous and settler narratives in order to create an alternate archive of stories that aren’t in the history books. They are in the people and in the land," Bond said. "In my initial research in 2009, the regular railway books just bored the heck out of me. It’s mostly one point perspective, the white male perspective, but what did interest me was this one book by David Blyth Hanna, who was the president of the Canadian railway. It’s called Trains of Recollection: Drawn from Fifty Years of Railway Service in Scotland and Canada. He wrote in an entirely different fashion. It wasn’t a regular history book with dates and facts; it was more about his actual personal experience. He wrote in an anecdotal way. "His actual personal narrative from being a boy and working all the way up to being president of the railway in Canada, it’s a beautiful narrative and has a lot of twists and turns. It was one of the inspirations for this project. Instead of going through the regular books that you’d normally take out in the library to learn about the railway in Canada, I’m really searching for that personal perspective." Initially, that personal perspective was mostly a settler perspective, as Bond was also exploring her family history. But as the project has evolved, Bond has also included an Indigenous take on the tracks. "I think we sometimes forget that the railway was a primary means of colonization and residential schools and transporting and splitting up families," Bond said. Bond moved to Winnipeg from Edmonton five years ago to be with her husband, local musician Keith Price (who she actually met on a train). Bond received her BFA in photography from Emily Carr University of Art + Design in Vancouver, B.C. In addition to working as an artist, Bond works as an art educator with Art City, and has worked as a program co-ordinator with Mentoring Artists for Women’s Art and Video Pool Media Arts Centre. 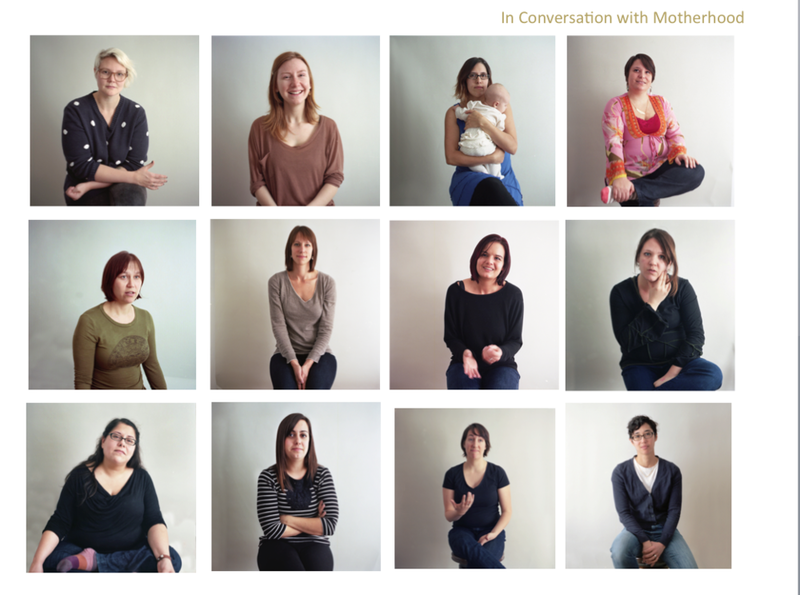 In Riding Mountain, Bond will display Postcard Anecdotes, a participatory portion of the Negotiating Spaces installation. "I’ve been specifically collecting memories and stories on postcards, and with those postcards I create different types of installations in public spaces," Bond said. "The postcards are hanging from either a building or a tree and they’re hanging from silk ribbon. People can read other people’s stories or actually write their own and add their own postcard to the installation." Postcard Anecdotes will be displayed at Friends of Riding Mountain National Park (154 Columbine Dr.) on Sept. 10 and 17 at 2 p.m.
Read more by Jared Story.